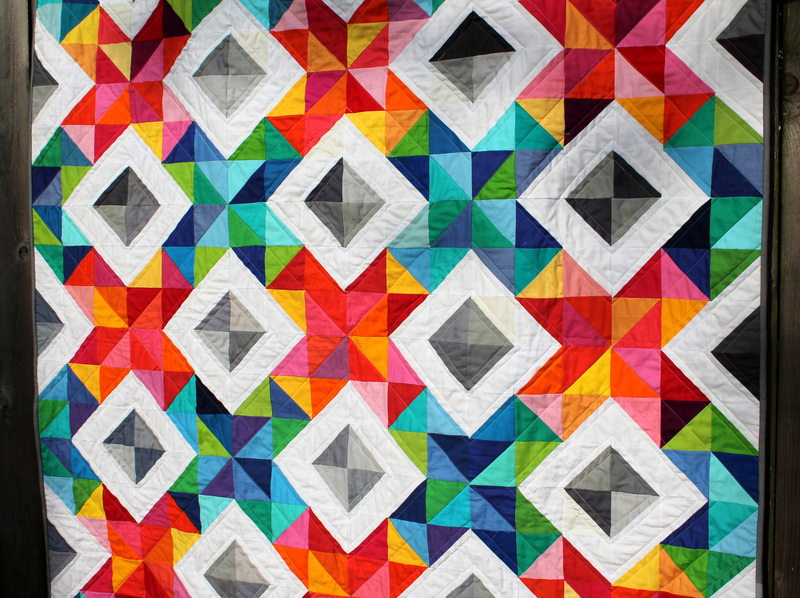 It is a block made up of half square triangles, lots and lots of HST’s. 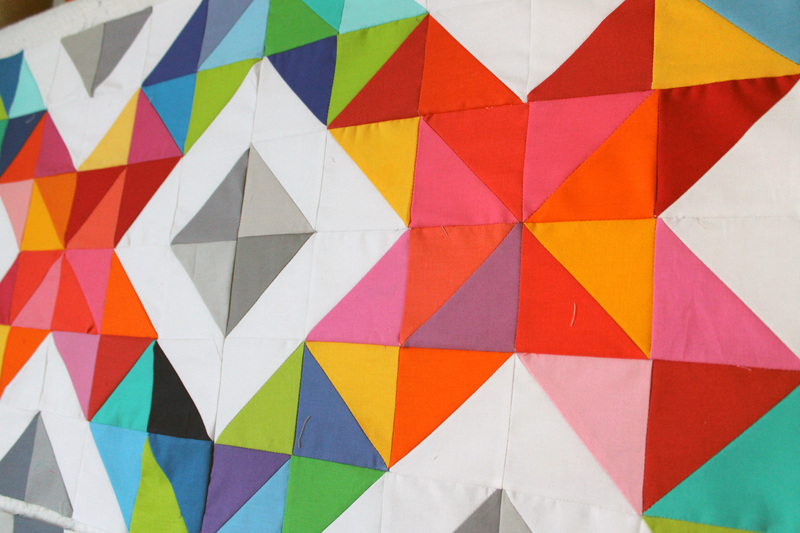 When I got the pattern I was umming and ahhing about what colours to do and what scraps to use… you know my usual style. 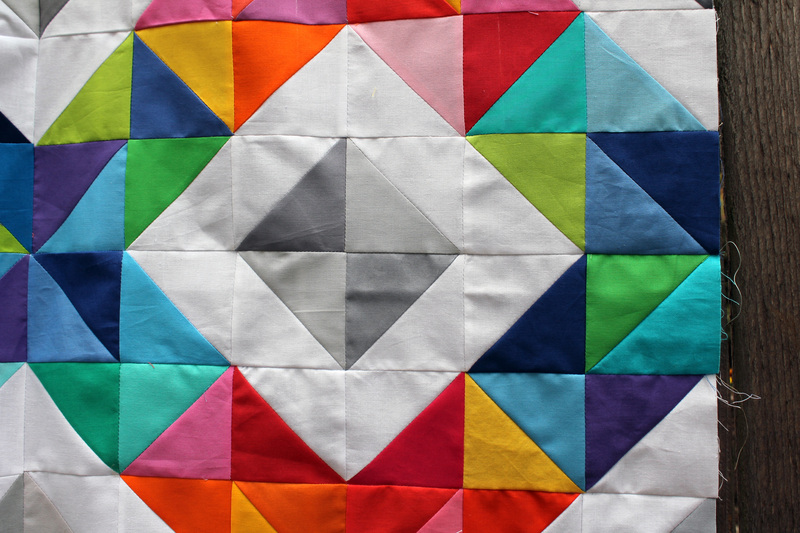 In the end I decided to do something completely different for me and go with solids. 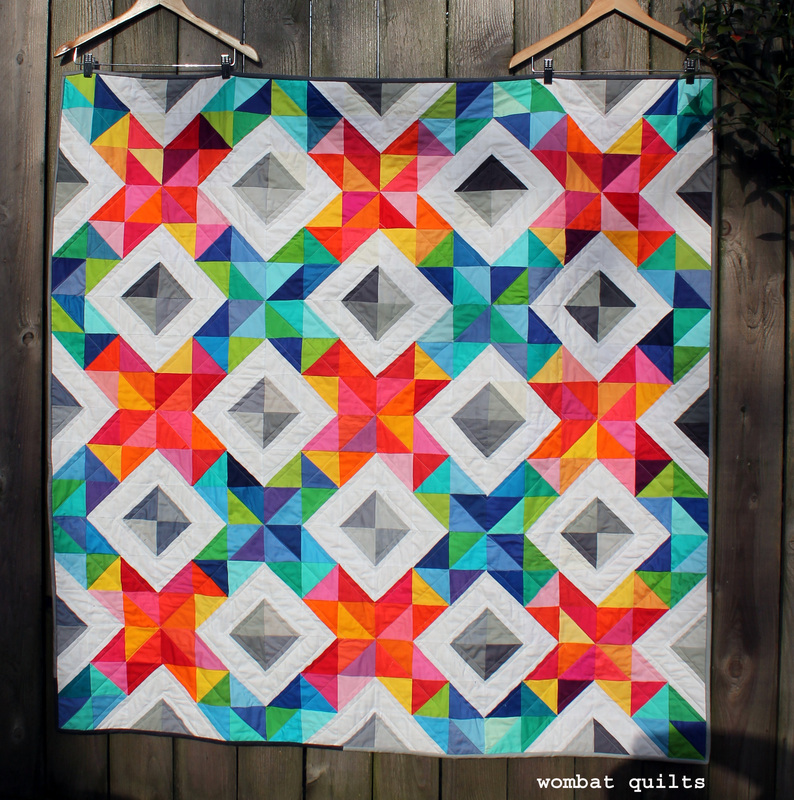 I used just Kona for the white fabric but I really raided my solids stash for the rest – there is Kona and Couture Cotton and Bella Solids and who knows what else in this block. 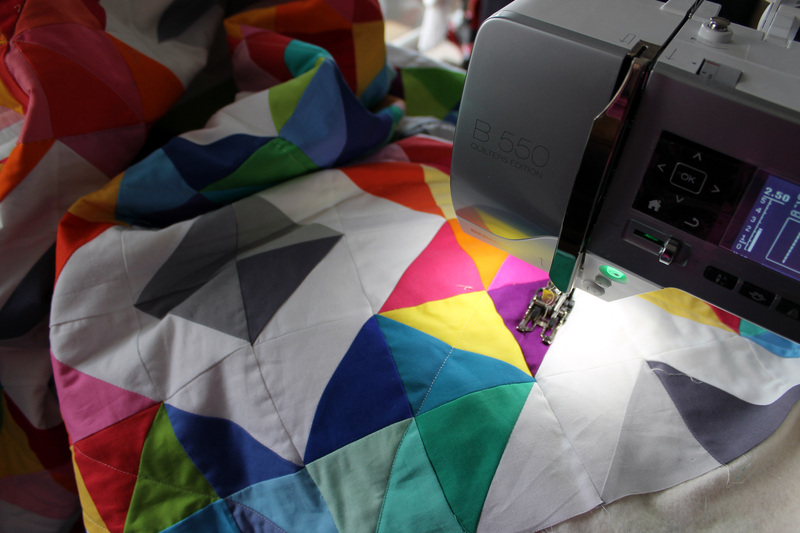 With Sara’s pattern she gives directions on two different ways to make HST’s. 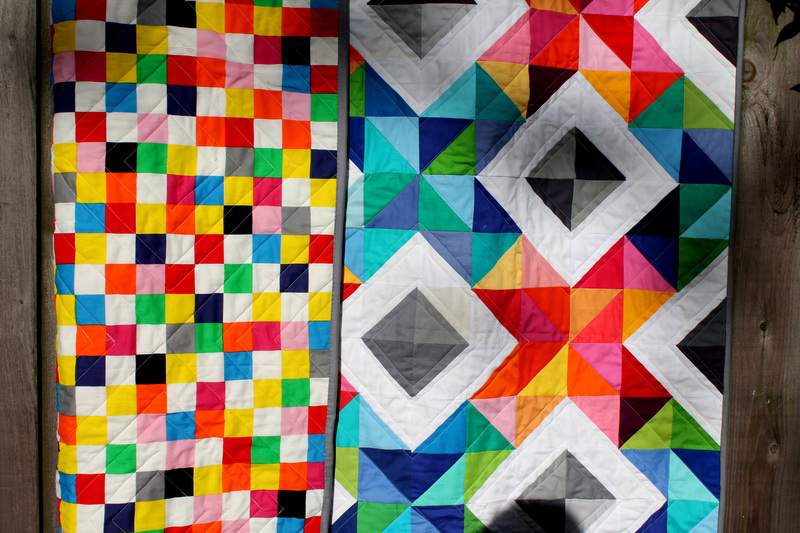 I went with the version that makes 2 at a time because I wanted the colour variety and I was not making a huge quilt. 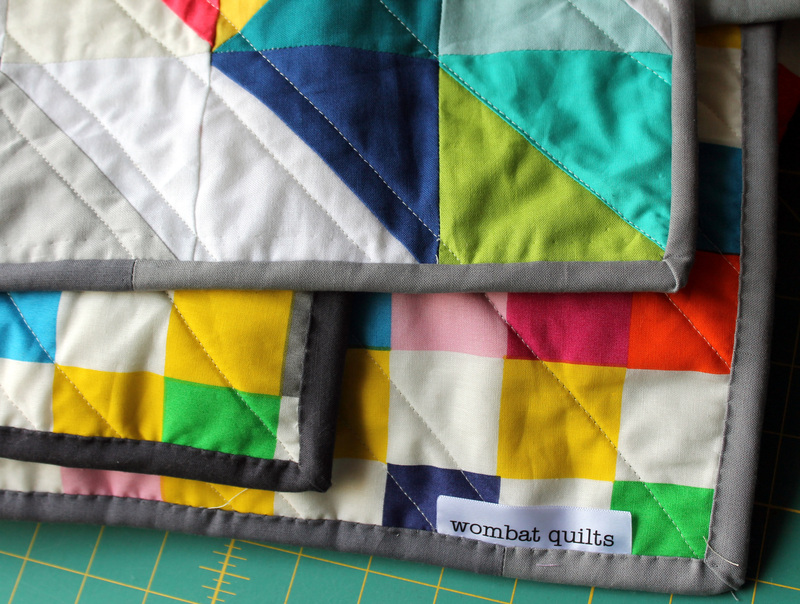 I now have a fabulous wall hanging or baby quilt…. I am not sure which one it is yet! 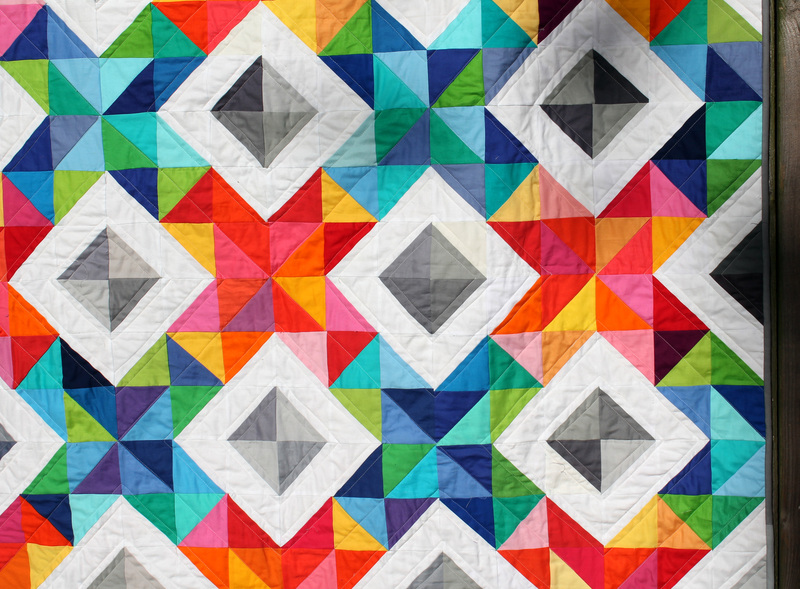 Sara’s pattern goes live next week on her website if you are interested. 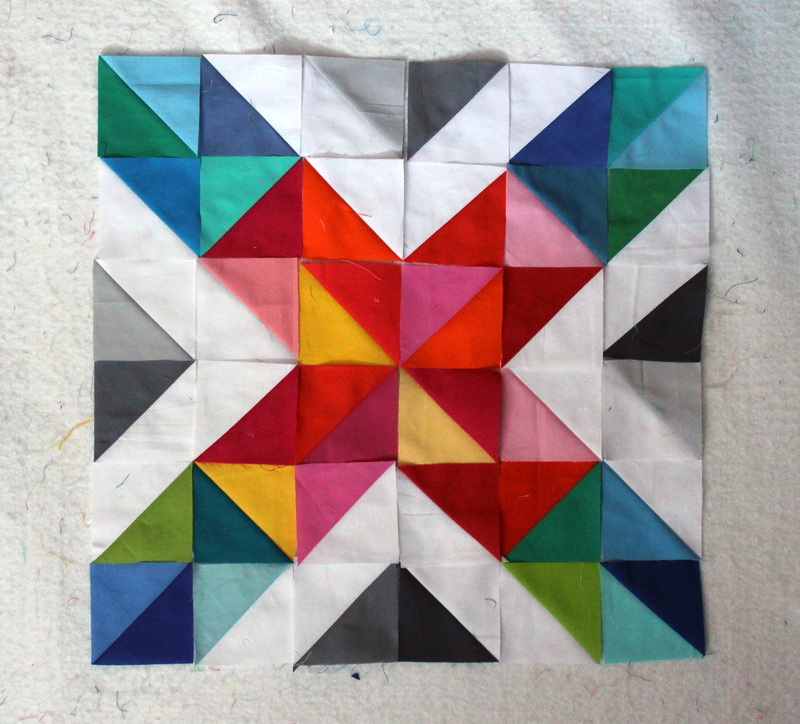 The block is really easy and the resulting quilt top is striking. 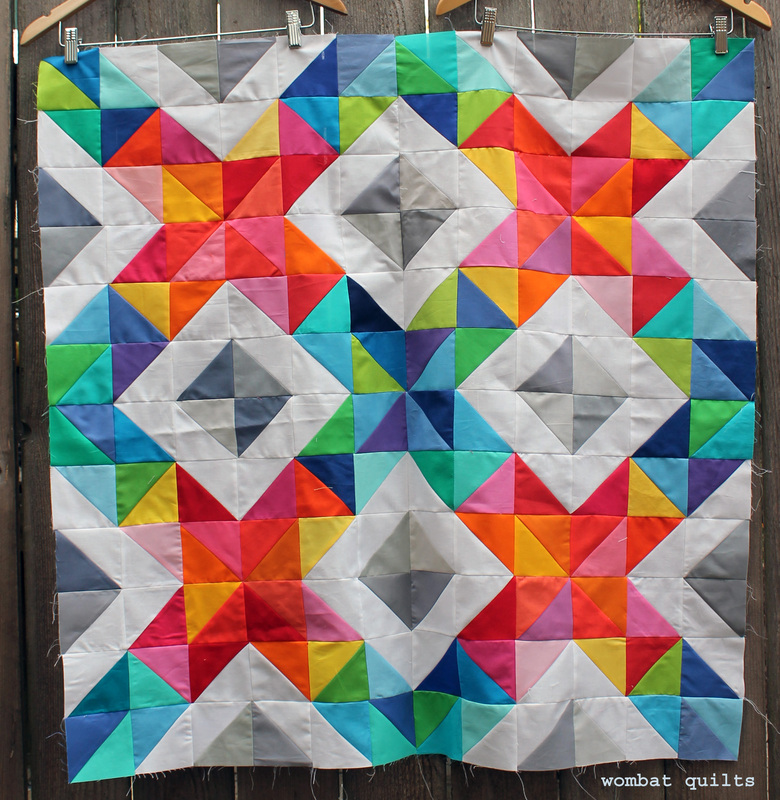 I am linking up with Lee at Freshly Pieced for WIP Wednesday.